The Outback multifunctional child carrier is now available also in navy colour. Not only stylish and good looking, but as the white contrast lines are in reflective material, you are also visible in the traffic. The Outback is available in double and single models, in altogether three colours. 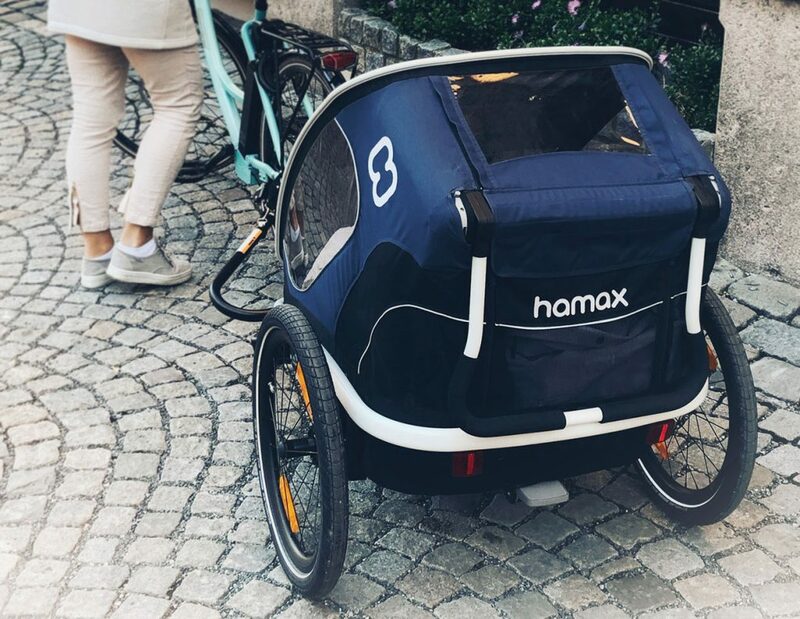 The trailers are delivered with a bicycle arm and a stroller wheel, whereas jogging kit, skiing it, baby insert and various covers can be obtained as accessories. The Outback has a double locking system, securing a safe and easy exchange of usage modes.